Snowkiting is amazing, effectively kitesurfing on the snow while also being free to explore the mountain terrain on skiis or board, ride through endless fresh powder and float down the slopes with your kite – join us for the long week having fun in the Alps. 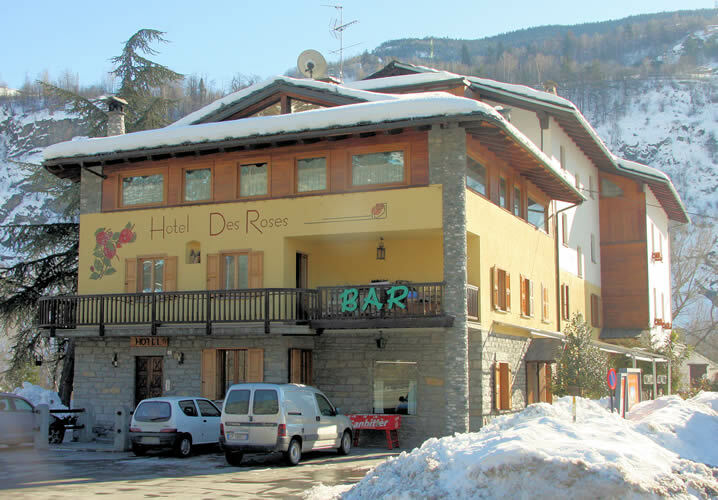 Vetan is located in the region of Aosta in the Italian Alps near the French and Swiss borders, just a couple of hours from Milan. This lovely location is on a flat area with rolling landscape and consistent winds with steeper slopes behind for more advanced and adventurous riders! There are a number of fantastic snowkite spots in the area so we can chose the most suitable depending on the forecast. If you are a complete beginner then the three day course is perfect and it will leave a few days spare for practice and other activities. If you already kitesurf or kite landboard and just want to transfer your skills over to the snow then we can arrange a tailor made lesson for you to get you started so you can then ride all week! Private tuition and coaching is also available. The lessons include all the equipment needed for snowkiting apart from the skis/boards and boots. There is a local hire shop or if you have your own, feel free to bring them along. We also have a few boards and boots which we are happy to hire if they are the correct size for you. If you would like to fly from a different airport, that is not a problem if the flights are at a similar time. If you’re just bringing clothes and kites, you should be able to fit them in hand and hold luggage. If you would like to bring skiis/snowboards as well you can just book sports equipment and no hold luggage unless you need the weight allowance of both. Otherwise feel free to fill a car with your friends and have a road trip! If there is no wind!? The wind is very consistent in Vetan but in the unlikely event of unsuitable winds or if you fancy a change there are lots of other amazing activities to do on the trip. For some alpine skiing/boarding, Pila, Courtmayer, La Thuille and Cogne ski resorts are nearby. Gregorio’s snowkite school also offers guided snow trekking around the beautiful local area. This includes B & B accommodation at the hotel, travel to and from the airport and snowkite spots, use of the snowkite area plus tips and coaching pointers from us throughout the week. Lift passes for the ski areas are not included as we will buy them on the day depending on which location we use, Vetan and Point St Pierre do not need passes and La Tuille has a special snowkite pass which is only 15 Euros. Transport to Italy is not included, if you would like to fly, please book your own flight. We will let you know which flights to book so that everyone is together and then we will drive you to Villeneuve and the various snowkite spots throughout the week then back to Turin airport at the end. If you would like to book tuition and/or kite hire, please let us know and sort out a price for you. The dates of the holiday can be personalised as there are flights out to Turin all the time, if you wish to come on a shorter or longer trip or on slightly different dates, please contact us and I am sure we can accommodate you.